A major detour will begin on Wednesday, June 29, 2016 due to water main work along Salem St./ Route 129. The detour is anticipated to be active during the hours of 8AM and 4PM, dependent on weather and other job-related activity. This detour is expected to last several weeks. 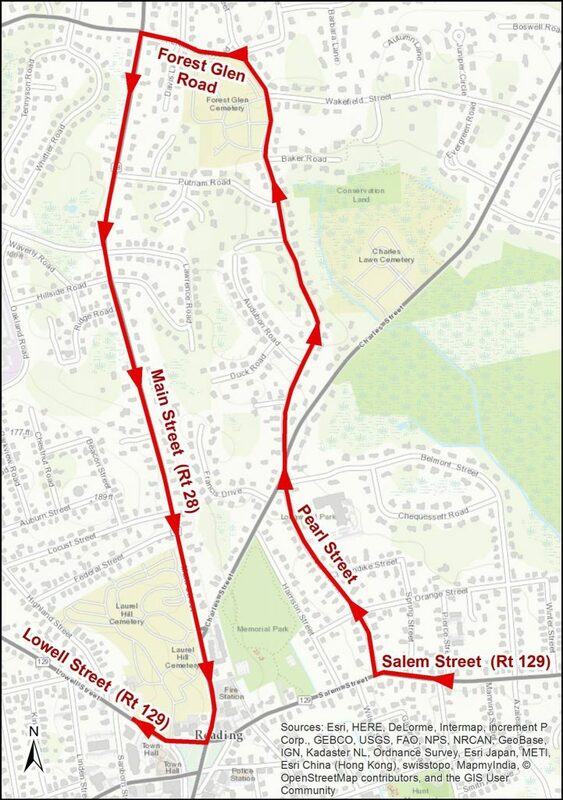 Salem Street westbound motorists will be detoured down Pearl Street to Forest Glen to Main Street. The Reading Police Department asks residents to seek alternate routes, particularly during periods of heavy traffic.